Was Surgery the Right Option for Sam Smiley's Torn Achilles? College Football News: Was Surgery the Right Option for Sam Smiley’s Torn Achilles? No college senior wants their final football season to end with injury. North Carolina Tar Heels’ starting safety Sam Smiley had 35 tackles, an interception and a fumble recovery before being carted off the field in late November with a torn Achilles that required surgery. No stranger to foot pain, Smiley also missed the entire 2013 season with a left foot injury he chalked up to “poor flexibility.” We treat many torn Achilles tendons here at The Center for Podiatric Care and Sports Medicine in NYC with the goal of getting athletes back to full strength as soon as possible. What Happened to Sam Smiley? 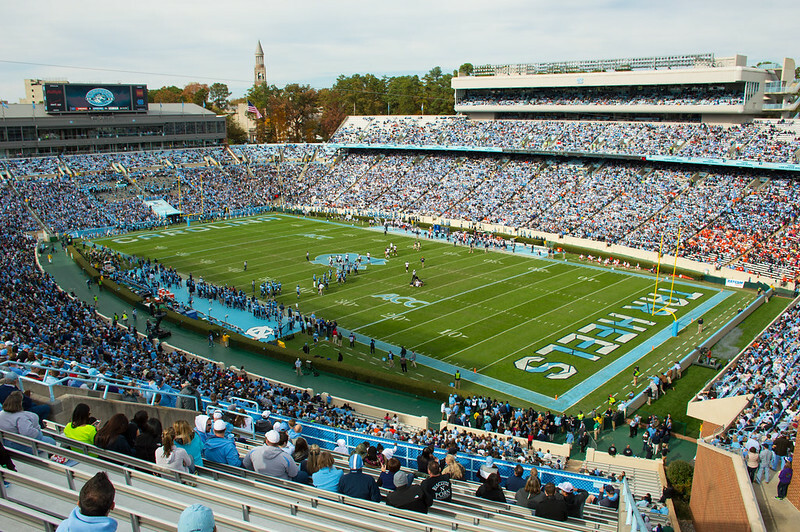 Sam Smiley tore his Achilles tendon in the third quarter of University of North Carolina at Chapel Hill’s 45-34 win over the North Carolina State Wolfpack on November 28th. This kind of rupture can happen with a sudden misstep, or the tendon can snap like a rubber band that has been consistently overstretched. The explosive changes in direction and acceleration associated with football puts players particularly at risk for this type of injury. “Just how this affects Smiley’s NFL aspirations remains to be seen,” Campus Sports reports, but we’d like to think Smiley can bounce back after surgery and go on to make a pro-level debut. Unfortunately, an article in Lower Extremity Review concluded that only two-thirds of NFL-level players return to the sport following an Achilles tendon rupture (and often with diminished performance). Many factors go into choosing the right mode of treatment for an individual. Most people assume that a torn Achilles tendon immediately means surgery. However, that’s not always the case, especially when you consider a study published in the Journal of Bone & Joint Surgery that found aggressive range of motion and early weight-bearing physical therapy was just as effective at healing a torn tendon as surgery (but without all the risks). Some of our patients are outfitted with an AirCast Boot fitted with heel wedges and crutches for two weeks, followed by several months to a year of functional rehabilitation exercises. When patients come in with partial ruptures, we can also employ therapies like platelet-rich plasma injections that speed up the healing process. On the other hand, athletes and extremely active individuals may opt for the surgical route as a more aggressive mode of repair. If we find evidence of tendon degeneration (which we do in about half of all cases), then cleaning up scar tissue and tendon damage is often considered the best course of action. A review of current research found that risks are low for Achilles tendon surgery, but roughly 10% will develop complications like deep infection, skin necrosis, or tendon death, and another 15% will develop minor skin complications. Smokers and patients with diabetes or other comorbidities that may not be ideal candidates for surgery can be successfully treated non-operatively at our Manhattan and Westchester centers. Furthermore, there is a 9% lower risk of re-rupture in surgical patients who do not undergo functional rehabilitation, compared with nonsurgical patients who do not undergo functional rehab. (If you are willing to do the physical therapy, then there is a negligable difference in risk of re-rupture between the groups.) Surgery patients do see a slightly faster recovery than nonsurgical patients — returning to work about 19 days sooner than nonsurgical patients — which is something to consider as well. The Center for Podiatric Care and Sports Medicine in NYC is a leader in Achilles tendon repair — both surgically and non-surgically. Our team consists of board-certified podiatrists and podiatric surgeons, as well as sports medicine doctors and physical therapists. We work with Olympiads, college and pro-level athletes, elementary school children, and active adults who are looking for the most advanced treatment options available in the Manhattan or Westchester metro areas. Contact us to book an immediate appointment and get the right treatment for your Achilles injury. » Quinolones and Your Feet: Could Your Achilles Tendon Rupture Be Related to Antibiotic Use?